I just finished reading this and was riveted by it. The basic premise of the book is that Annie Oh, eccentric and well known artist, has left her husband of many years to be with a woman. This just scratches the surface of this incredible book. What follows is diving into the depths of the messiness and chaos of human life. This story is deeply moving, gripping, heart rendering and wonderful. 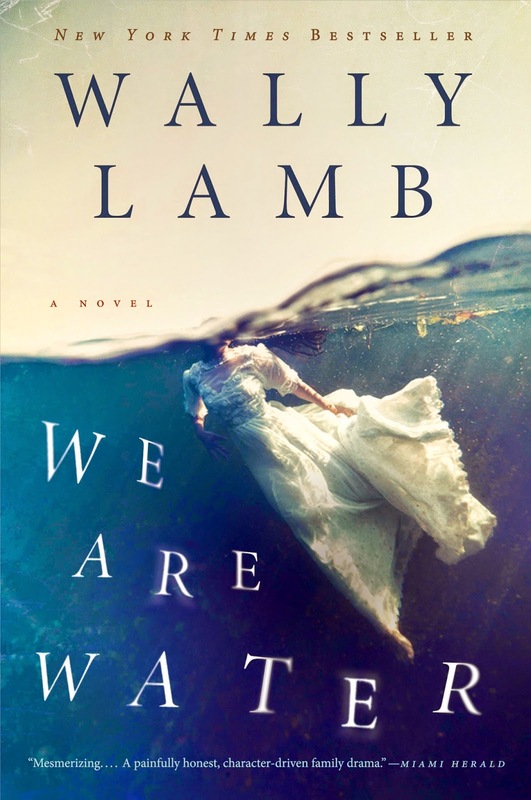 This book really explores the darkest and most hidden corners of the human heart. Each chapter alternates from whose point of view the narration is taking place. We learn about childhood traumas Annie suffered, this is shocking, heartbreaking and powerful. Our hearts ache for her pain. We learn about the closeness and love she and her husband shared. That in fact, they loved one another quite deeply and had something wonderful, but in the end their relationship crumbled because they allowed themselves to be distracted by other things (mainly work on both of their respective sides) so ultimately resentment and distance built until their relationship fell apart romantically. We learn about the loving relationship Annie developed by surprise with Vivica, a fellow artist with whom she began spending a lot of time in NYC. We learn about each of Annie and her husbands three children, the secrets and struggles of their own personal lives. But mostly, we learn that human life is rarely as simple and easy to explain or box up nicely and label, as much as we might like it to be. That it is easy to label things, when often times we have not even scratched the surface of all the depth and complexity involved. This book is hands down, one of the best I have read within the last half year. I would highly recommend it. This is both an emotionally moving story as well as an amazing snapshot of and portrait into the culture and activity within NYC in the 1960s/1970s. The magic in this story is not about the actual people of whom the story is told about. Its in the scene, as well as the relationship between Patti and Robert. The scene shifts often throughout the story, but the way Patti paints pictures with her words....whoa. You can see all of it easily. The smokey crowded bars with a group of them cluttered around a table conversing. The hippies and vegabonds they wander the streets with and befriend. The seedy apartments they live in. 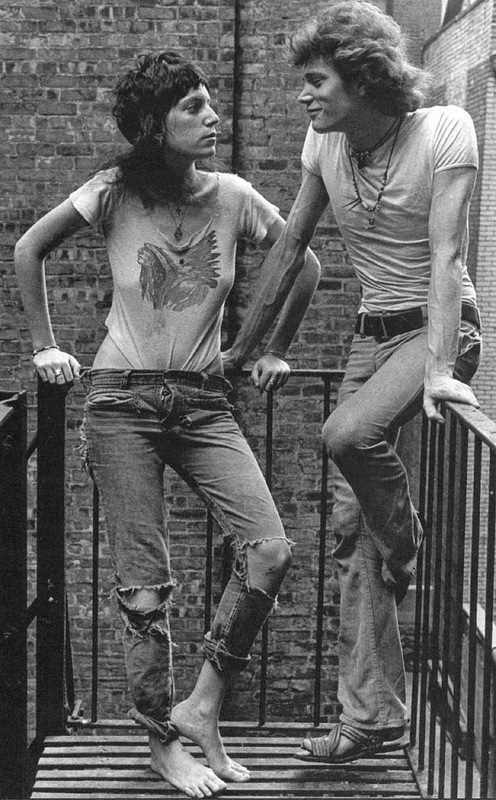 The Chelsea Hotel-one of the most famous in NYC at that time and still today. One can easily imagine the subdued, shabby, faded glamour of the peeling hallways, filled with a motley crew of drifters, junkies, artists and castaways. Patti is a deeply talented writer who captured me with her lyrical words. In terms of the relationship between herself and Robert Mapplethorpe, this is one of the most interesting and moving relationships I've ever heard about. They are: best friends, each others rescuers, soul mates, one anothers muse, supports to each other, lovers at points, life long friends. Both homeless and alone in NYC upon meeting, they attach to one another quickly and become fast friends. Patti and Robert sleep on park benches together, help support one another, and grow deeply close as friends. They do fall in love, become lovers as well as one another's muse for their respective arts. But eventually Robert comes out as being homosexual. This devastates Patti because of her love for him. However instead of doing what most people would likely do, (ending ties with him because of the emotional pain this revelation caused), Patti works through her pain connected to this loss and the major change in the nature of hers and Roberts relationship. They grow somewhat more separately for a short while, adjusting to this major shift in each of their own way, and then find their way back to each other fairly quickly. They are still one anothers closest confidant, soul mate and artistic muse. The adventures they go through together are varied, fascinating, gripping and moving. Patti dates other men off and on throughout the years. Robert dates men off and on. Both of them are always respectful of these relationships. At other times sporadically throughout the years, Patti and Robert reunite together in physical intimacy as well. There is a deep, unshakable love, respect, connection and friendship between these two. 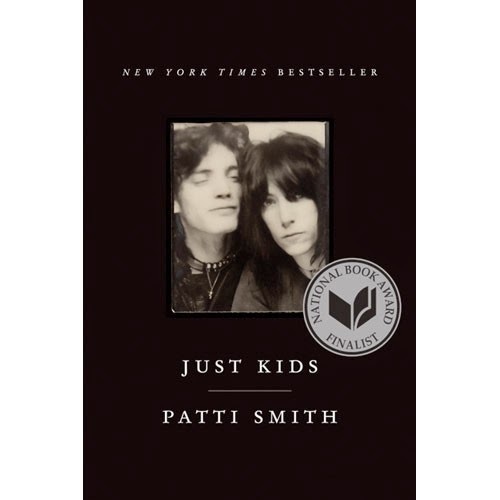 In the end, Patti ends up married to a male singer, Robert in a relationship with the same man for many years, yet the depth of friendship between these two remains up until Roberts death from AIDS in his late 40s. To me, this story represents the potentials that exist between human beings if we didn't live in a society that was so possessive within its relationships, so fearful of pain or challenging situations, so jealous and so black and white. I truly love this book. Excellent read, in terms of both the writing and the story itself.